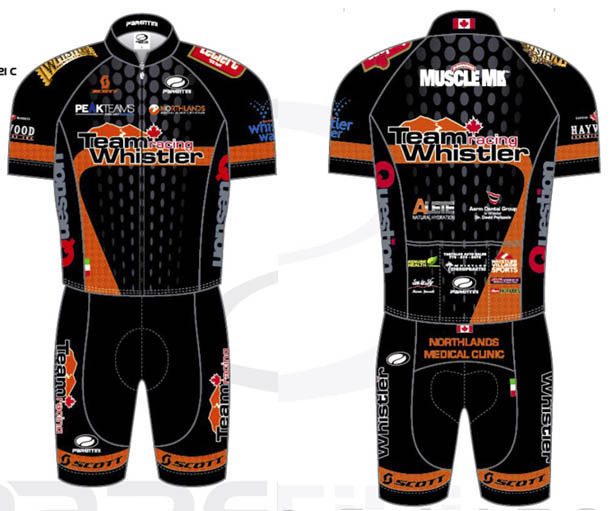 Team Whistler, a longtime fixture on the British Columbia mountain bike and road racing scene is excited to present the 2015 Team Roster and Kit. Look for team members to represent strongly at all BC races with additional International stage venues for some of the seasoned and also up and coming Junior racers. Our valued sponsors include : Scott Bicycles, Muscle Milk, Northlands Medical Clinic, The Question , Whistler Water, LeClerc Cookies, Genuine Health, Alete, PeakTeams, Whistler Brewing Company, Haywood Securities, Parentini, Sea to Sky Mortgage Brokers, Tantalus Auto, Whistler Village Sports, Whistler Chiropractic, Stans No Tubes, Aarm Dental and SMD Automotive. For more information visit www.teamwhistler.ca.